Owning a dog is one of the reasons why people go camping. It’s typically the only type of holiday that is nearly always pet friendly. We always take our dogs away camping with us and when out and about, it is our responsibility to keep them under control as we as keeping them safe (normally from their own inquisitive activities). Recently whilst away for the night wild camping and testing a tent, we had the chance to try some useful doggo products from the Nite Ize brand. 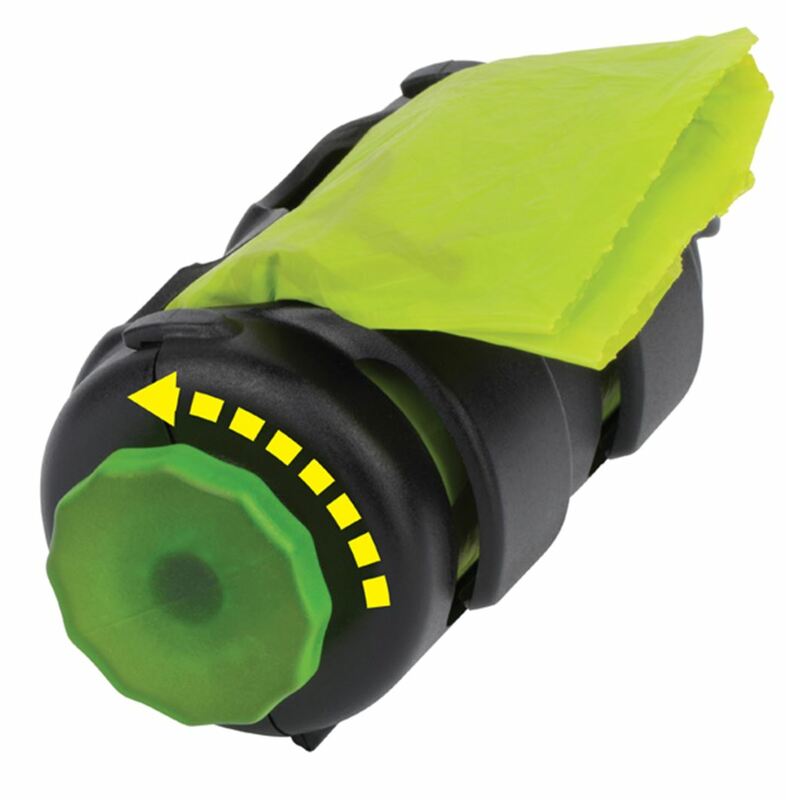 This is a brand we are familiar with as we regularly use their Nite Ize Radiant Lantern. 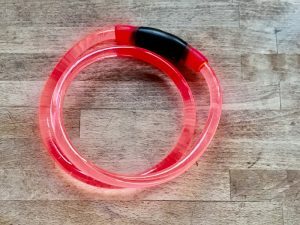 These 2 pet item are designed for helping people see you at night when you are out and about walking, and see them in the dark if you let them off the lead for their nocturnal business. 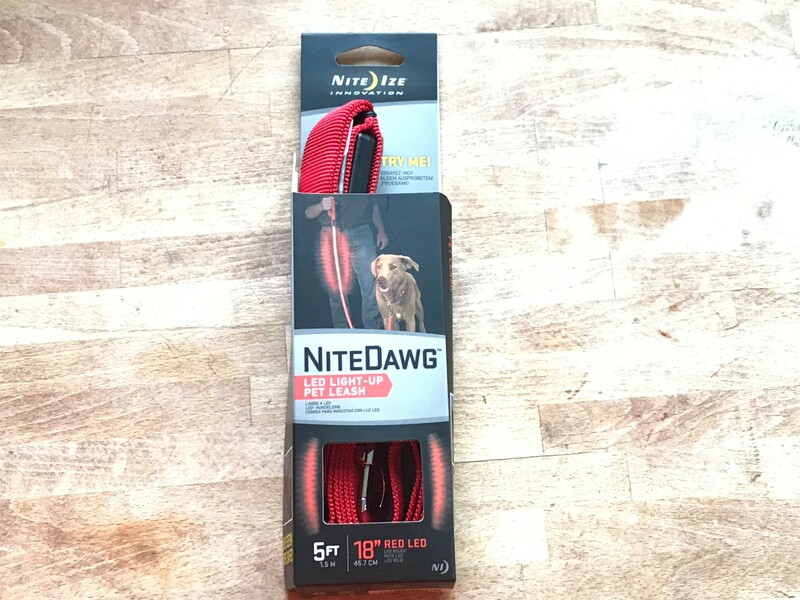 First off, I will mention the Nite Ize NiteDawg LED light up pet leash. This dog lead 5 foot long (1.5m), and I think you can get different lengths. It’s made from a wide red nylon strap that looks to be very robust and well stitched together. Overall the build quality seems very good. The hand loop is a good size, useful if wearing gloves. 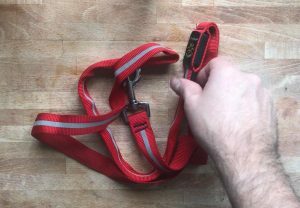 At the other end, the clip that attaches to your dogs collar is a god large size which makes it easy to operate (again, useful when wearing gloves). The top 18 inches after the hand loop include the large LED button and the LED light up strip. There are 2 light up modes, Glow and Flashing. The lead has a run time of 75 hours and 100 hours in flash mode. Also, when not using the LED lights, there is a reflective strip along the entire length of the lead so you should still be able to be seen from vehicle headlights etc. The battery can be easily replaced, so along with the built quality this lead should keep you and your dog safe and happy for a long time to come. 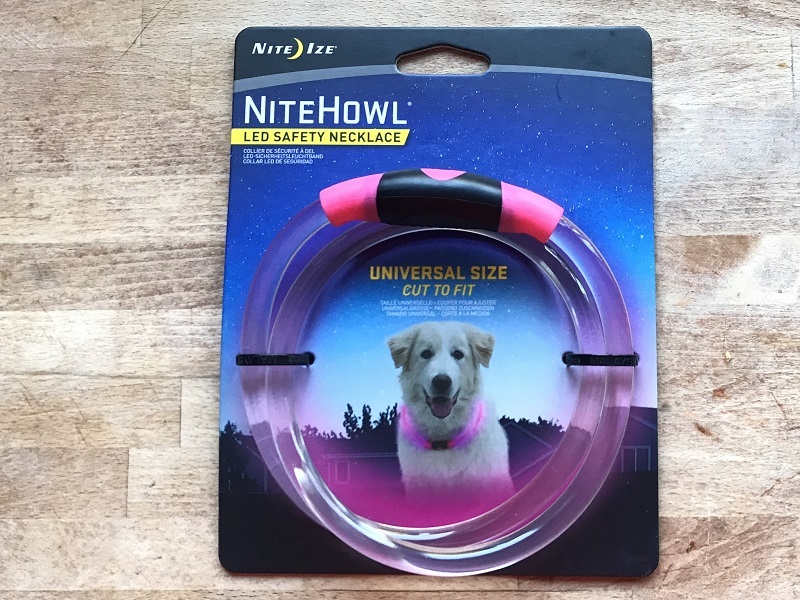 Secondly we had the Nite Ize NiteHowl safety necklace. These are a great idea - They are not dog leads, they are an additional necklace worn around the dogs neck. You could actually use them for other lighting applications too when not being used by the dog. 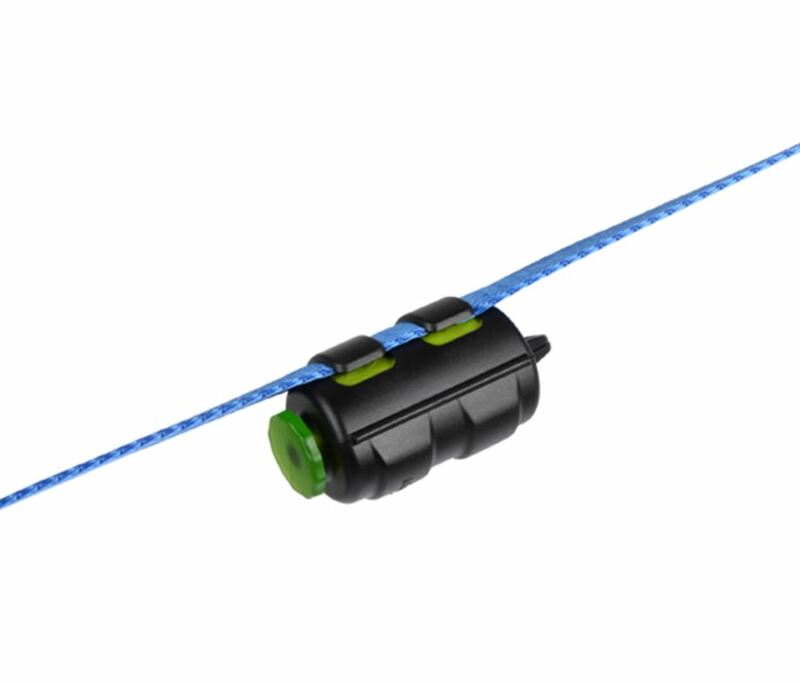 The safety necklace is suitable for both small and large dogs as it can be easily cut to size. They also have a Glow and Flash mode, has a nice large button to operate. The necklace has 2 built in bright LEDs and the illumination runs along it’s entire length and 360 degrees around. The safety leash is weather resistant, so there shouldn’t be any worries if doggo gets rained on. It has a run time of 60 hours, and the batteries are easily replaceable. If your doggo likes a wonder in the dark, you can be assured of seeing them from a good distance and keeping them safe. 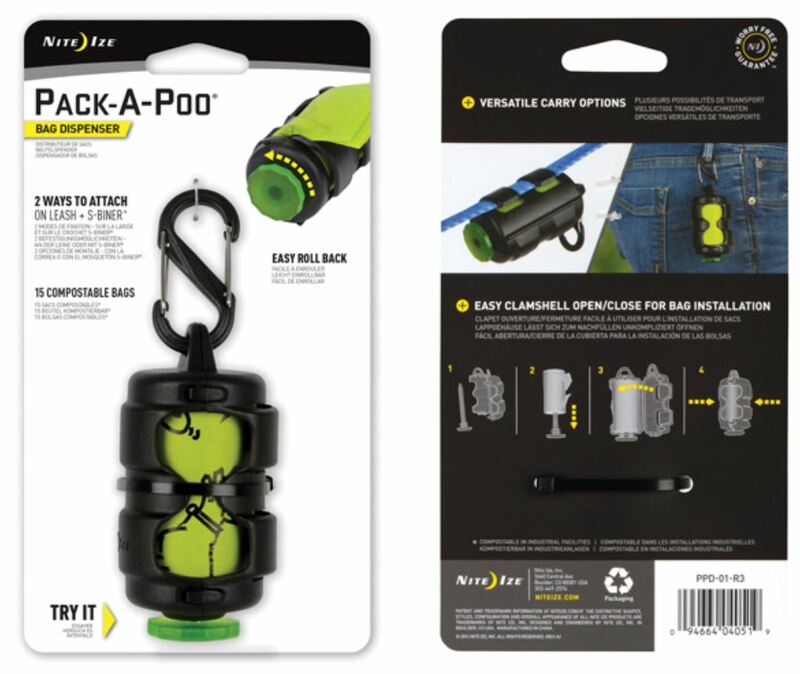 Nite Ize Pack-a-Poo, I almost forgot about this product and it is really rather good. There are other people that also want to enjoy the outdoors without treading in a present your dog has left behind. Cleaning up after your dog is so important, and that doesn't mean putting poop in a bag and disgarding the bag, or even worse, hanging it on a tree or a fence. It's your dog, have some respect, no matter how far, put it in a bin (rant over). 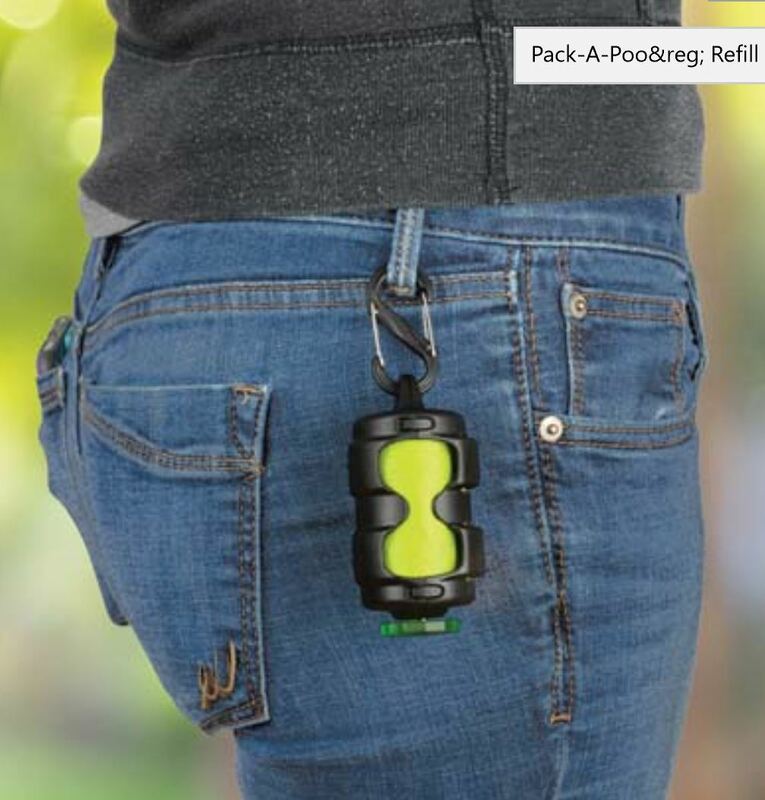 Anyway, cleaning up after doggo just got easier with this dog poo dispenser. I got fed up with having cheap dispensers always breaking and going missing or spewing poo bags everywhere as the dog runs around the field. 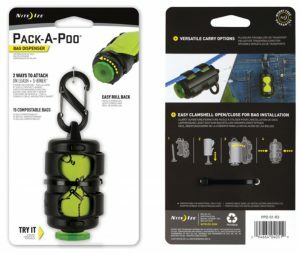 This Nite Ize poo bag dispenser is really well made and easy to use. 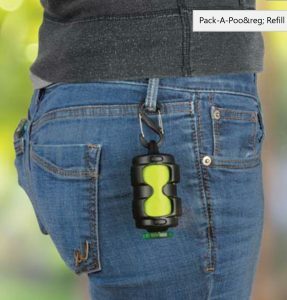 I also like the fact that it can be hung onto the dog lead with integrated clips on the body or using the S-Clip can be hung on the dogs collar, your belt hook or even onto a backpack - very handy. Overall, these Nite Ize dog products seem to be very well designed and built, and should work well in the real world of caring for our doggos.